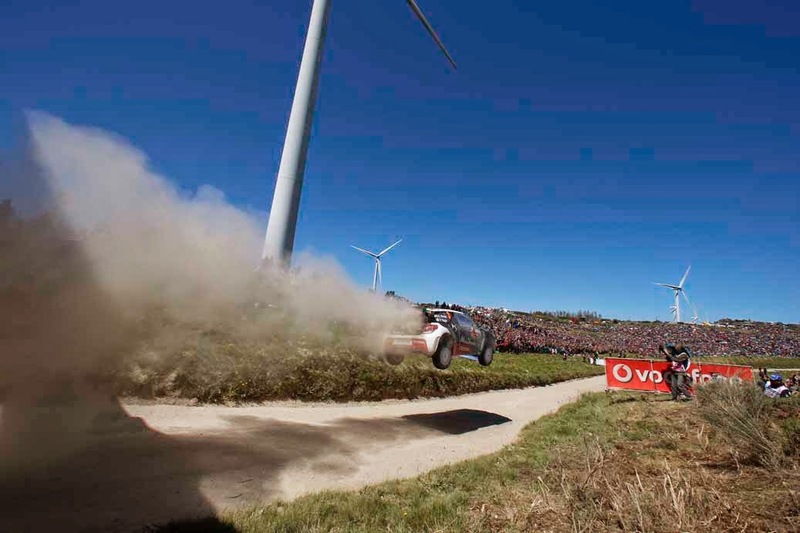 The difference between third and fourth at the end of Rally de Portugal was a mere 20 seconds after three days of hard, fast and dusty driving, with Kris Meeke and Paul Nagle just failing to hang on to that early third place in their Citroen DS3. There’s just no getting away from it at present, but Volkswagen have the best car and one heck of a line-up of talented drivers. However, both Meeke and Mads Østberg have added to their points tallies in this year’s World Rally Championship. Unusually, the pictures and the quotes didn’t arrive till this morning, normally I get these late on the Sunday evening at the end of each world series round, but the pics from the Citroen Racing/Austral outfit are always worth waiting and show Kris and Paul chatting with the Boss and some action from the stages.